A Turkish court has arrested eight members of Grup Yorum, a Turkish band known for their political songwriting, the People’s Law Office (HHB) announced on Wednesday. 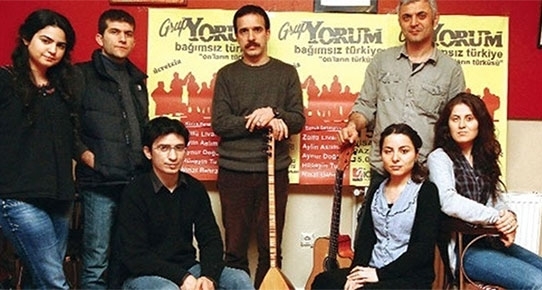 According to the law office, all members of the band — Ali Aracı, İnan Altın, Selma Altın, Sultan Gökçek, Fırat Kıl, Dilan Poyraz, Helin Bölek and Abdullah Özgün – were jailed upon arrest by a Turkish court, while Musa Varıcı, Cemil Varıcı and Mehmet Varıcı were allowed house arrest. “All members of Group Yorum have just been arrested! Damn you, fascism,” HHB tweeted. Group members were detained by police last week during a concert in İstanbul.